This morning I went on my last run before the Turkey Chase. I have a hard time with last runs before races because I have to fight off the urge to prove to myself that I can run as fast as I'll need to on race day and, instead, just take it easy and get my legs moving one final time. I slowed myself to three 9:00 miles and realized that I may need to re-evaluate my race goals. C Goal: Have fun and look stylish. Having fun is never much of a problem for me. Looking stylish, especially in cold weather running, can be more challenging. Luckily, I have a new sweat-friendly accessory that will help make any gear sparkle. 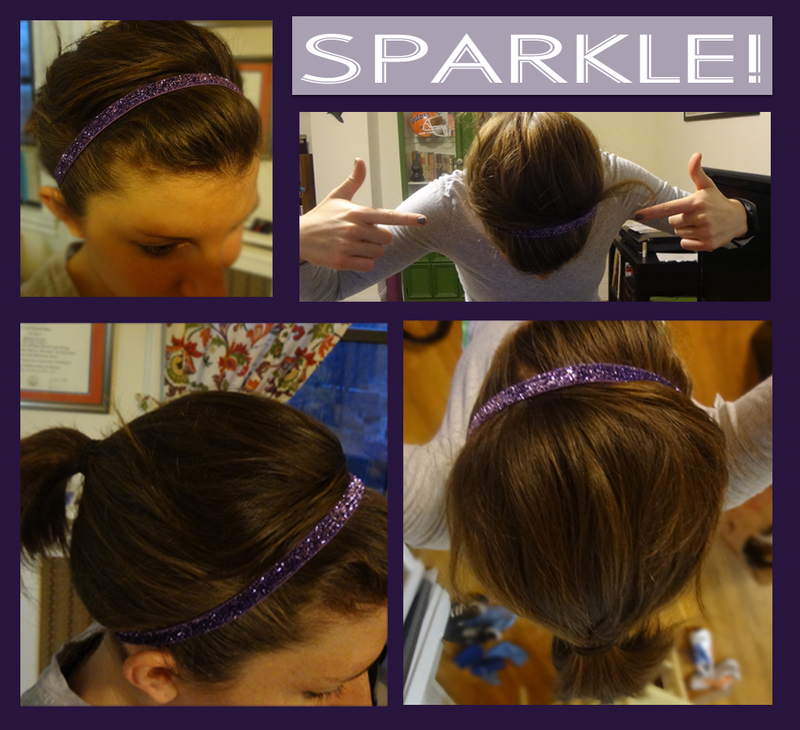 I have had my eye on Sparkly Soul, Inc headbands for months and finally got around to checking out their website. As soon as I did, I knew this was a company that I would love to support. It was created by a marathoner and triathlete, is based in "the city with lots of sparkle" (NYC), and, as stated on their site, the headbands are designed "for all the women who find their strength and soul while pushing themselves to their athletic limits." The only downside of my whole shopping experience was that I wanted every single color and could not narrow it down. I eventually decided on lavender and then I obsessively checked my mailbox every day for a week. Yesterday, the pretty thing was waiting for me when I got home and I let only 12 hours pas before testing it out. My biggest challenge in finding a great running headband is that they all tend to be either too tight or too loose and slippery. I want it to fit on my head and stay in place without my being able to feel that it is there. And, let me tell you, the 6-packs of athletic bands at CVS don't really do the trick. So, with the rain still coming down this morning, I set out to see if my Sparkly Soul would be as magically non-slip as the company claimed it would. During the run, I forgot that I was wearing the headband. It didn't press too hard against my head but I also didn't have to fiddle with it at all. After three miles in the rain, the thin little strip of sparkle had not moved an inch. My hair was wet and frizzy but it was held in place perfectly by the headband. It didn't take long but I am sold on the magic of Sparkly Soul. 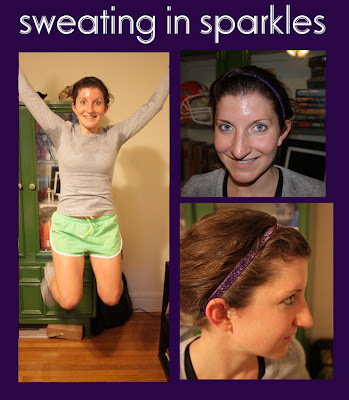 Sweating in Style won't be hard if I make sure to keep Sweating in Sparkles. And, in the spirit of giving, I want to share the love and give everyone else a chance to sweat in sparkles of their own. Sparkly Soul, Inc. has so generously offered to give one of you your very own headband in the color of your choosing. Beware: There are many wonderful colors to choose from and it will be hard not to want them all! There are several ways to enter the giveaway. Please leave a separate comment for each entry. The giveaway will end on Sunday, December 4. Good luck and thanks for entering! Awesome first giveaway! I am a follower! I think I would like either the silver or hot pink. Hard to decide as they are all really cute! I love the thin red headband! I would go for the wide pink band first.. then the blue! Love them. I follow Sparkly Soul on Twitter too. I linked your post to my giveaway sidebar. And I tweeted your giveaway! Nice job on your first! 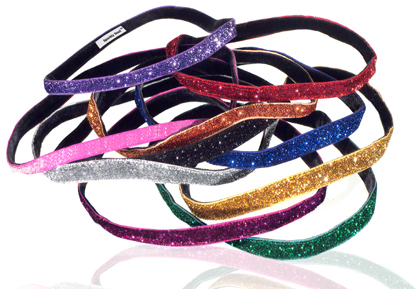 I would love a thin orange sparkly headband! So excited about your first giveaway! 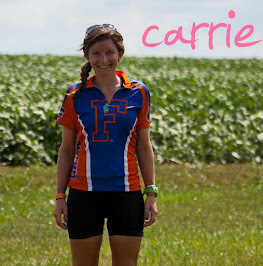 Way to go Carrie! I already follow you (of course), and I would love the silver Sparkly Soul band! I'll probably just buy one because I'm so sick of the 6 packs from CVS too! They are NOT good! These look awesome! I'm a follower! I love the hot pink one best! I LOVE the black sparkly one! 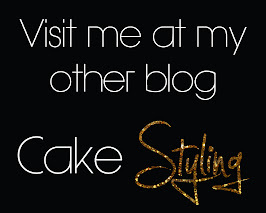 I posted on the sidebar of my blog! I like the thin black one. I am now a gfc follower (Dee) :) Thanks for the chance! I would love the thin gold one! It's so pretty! I shared on my blog. I follow Sparkly Soul on twitter! I like the wide blue headband the most! I would love the lavender colored band! It is lovely! I would love the black one!!!! I twitter follow Sparkly soul!!! I went to the website and snooped around and I want the black sparkly! I think I'm liking the 3/8 of an inch wide blue sparkly! already follow sparkly soul on twit! Awesome giveaway! I love it! I am now a follower so happy that you found me on 13GoingonCrazy! I love the 5/8 inch Ice Pink Headband. That it is just too cute! !